Pearland residents Jesmin and Nizam Meah pledged $300,000 in two significant donations to University of Houston-Clear Lake at Pearland. Through their Meah Family Foundation, they committed to a gift of $200,000 to equip the nursing simulation lab in UHCL Pearland's new Health Sciences and Classroom Building, which opens this spring. A naming gift of $100,000 will benefit the expansion of UHCL’s Center for Autism and Developmental Disabilities onto the Pearland campus. The new health sciences facility is pictured behind the couple. Nizam and Jesmin Meah are immigrants living the American dream — a dream that impelled the Pearland couple to pledge $300,000 in two significant donations to University of Houston-Clear Lake at Pearland. Both emigrated from Bangladesh, became U.S. citizens, went to college, met and married. Nizam is a gastroenterologist with clinics in Pearland, Lake Jackson and Friendswood. Jesmin, an electrical engineer by education, is a stay-at-home mom who volunteers in Pearland schools. 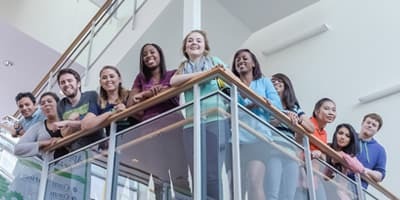 Both came from families that prized higher education, family and service as virtues — values they are passing on to their four children through the creation of the Meah Family Foundation. The foundation committed to a gift of $200,000 to equip the nursing simulation lab in UHCL Pearland’s new Health Sciences and Classroom Building, which opens this spring. A naming gift of $100,000 will benefit the expansion of UHCL’s Center for Autism and Developmental Disabilities onto the Pearland campus. Jesmin’s family moved to the U.S. when her father obtained a scholarship to Texas A&M, where he received master’s and doctorate degrees in civil engineering. Nizam said he came to the U.S. as a young man “with $23 in my pocket.” But he knew as a young teen that America was his destiny. 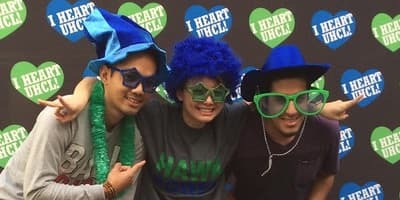 Richard Zalesak, UHCL’s associate director of development for University Advancement, said the Meahs’ gifts will help train nurses “for many, many years” as well as provide therapy services for children on the autism spectrum. 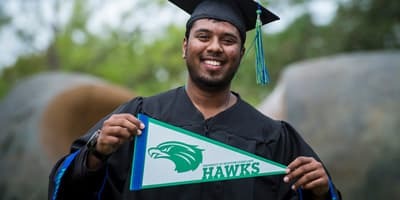 For giving opportunities, visit www.uhcl.edu/giving.